I have to admit how disappointed I was when I went to BBQs here. Grilling chuck steaks and sausages in a synthetic lining, bottles of barbeque sauce, sad looking salads, heavy salad dressings… Or maybe I’ve just been to all bad ones. I’m not a huge meat eater and thus going to a BBQ means pretty starving for me. Salads, especially, look so unloved. It’s just a side dish no one really touches. Can you name more than five salad veggies? Here is a thing. If you are a fan of healthy eating and cares about what goes into your body, then there is a homework for you. Go down to the local market or farmer’s market on the weekend and explore salad veggies. See how they look like, their names, smells, tastes, texture. You will be pretty impressed there is a whole world of veggies out there from spicy arugula to tender butter lettuce. Just in case I haven’t told you yet, I love going to the grocery shopping as much as clothes shopping. I will list some of the examples with photos and nutrition facts below. Butter lettuce: Good source of vitamin A, K and folate. Soft and buttery textured leaves. 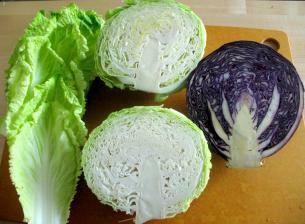 Cabbage: Dense, waxy, crunchy texture. Red cabbage has twice the vitamin C as green cabbage. Iceberg lettuce: You will all know this one. Light and crunch texture. A good source of vitamin K, but that’s about it. Not much nutrition unfortunately. 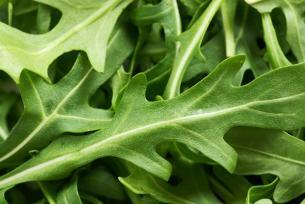 Arugula (Roquette, Rocket): Peppery mustard flavour and nutty flavour. Contains anti-cancer properties. 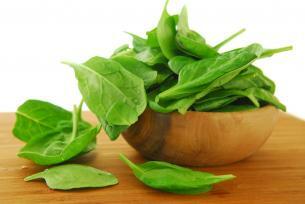 Spinach: Tender, sweet, salty leaves. Rich in vitamin A, B, C, folate, iron, calcium and magnesium. Kale: Sweet and tender greens. 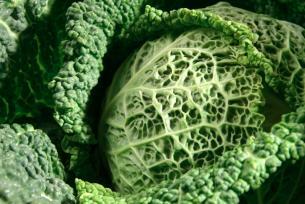 Very high in beta-carotene, vitamin K and C, calcium, anti-cancer properties. 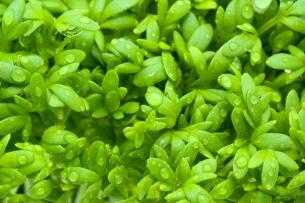 Watercress: Peppery and tangy flavour. 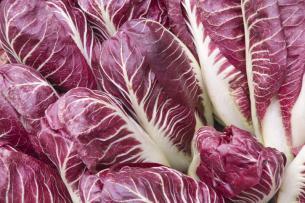 Rich in iron, calcium, iodine, folic acid, vitamin A and C, anti-cancer properties. Try to mix 2-3 different variety of greens when you make a salad, for example, mild lettuce + crisp romaine + peppery arugula. That’s the foundation of your salad. Then you can add other ingredients like carrots, cucumbers, tomatoes, what ever you feel like. Some suggestions for salad topping?